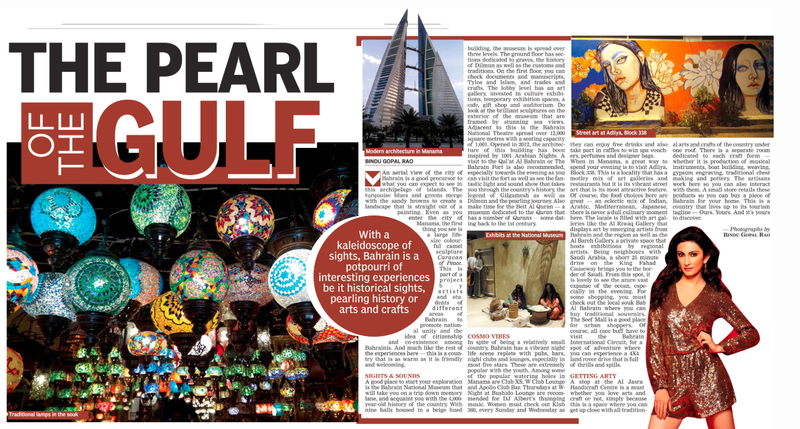 With a kaleidoscope of interesting sights, Bahrain is a potpourri of interesting experiences whether in its historical sights, its pearling history or arts and crafts. 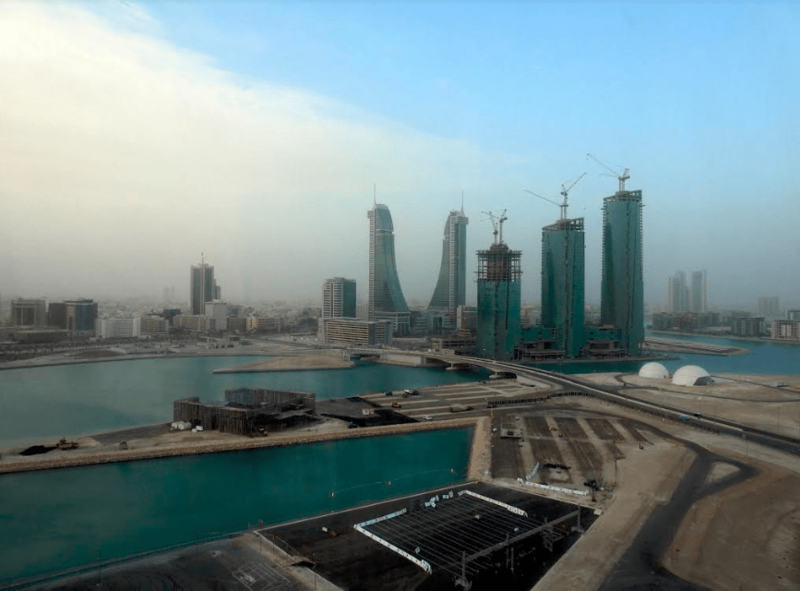 An aerial view of the city of Bahrain is a good precursor to what you can expect to see in this archipelago of islands. The turquoise blues and greens merge with the sandy browns to create a landscape that is straight out of a painting. Even as you enter the city of Manama the first thing you see is a large life size colourful camel sculpture called Caravan of Peace. This is part of a project by artists and students of different areas of Bahrain to promote national unity and the idea of citizenship and coexistence among Bahrainis. And much like the rest of the experiences here – this is a country that is as warm as it is friendly and welcoming. 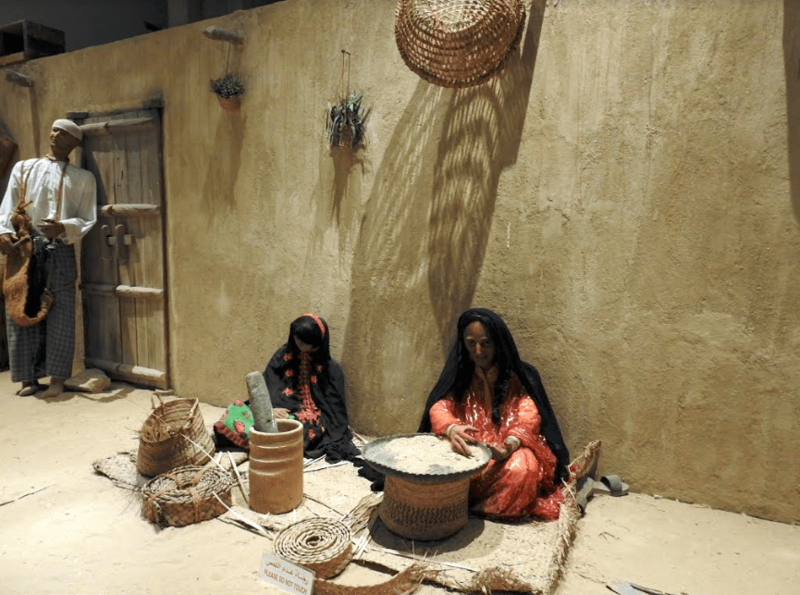 A good place to start your exploration is the Bahrain National Museum that will take you on a trip down memory lane and acquaint you with the 4000 year old history of the country. With nine halls housed in a beige hued building, the museum is spread over three levels. The ground floor has section’s dedicated to graves, the history of Dilmun as well as the customs and traditions. On the first floor you can check the Documents and Manuscripts, Tylos and Islam and Trades and Crafts. The lobby level has an art gallery, investing in culture exhibition, temporary exhibition spaces, cafe, gift shop and auditorium. Do look at the brilliant sculptures on the exterior portion of the museum that are framed by stunning sea views. Adjacent to this is the Bahrain National Theatre spread over 12000 square metres with a seating capacity of 1001. Opened in 2012, the architecture of this building has been inspired by 1001 Arabian Nights. A visit to the Qal’at Al Bahrain or The Bahrain Fort is also recommended especially towards evening as you can visit the fort as well as see the fantastic light & sound show that takes you through the country’s history, the legend of Gilgamesh as well as takes of Dilmun and its pearling history. Also make time for the Beit Al Quran – a museum dedicated to the Quran that has a number of Qurans – some dating back to the 1st century. When in Manama, a great way to spend your evening is to visit Adliya, block 338. 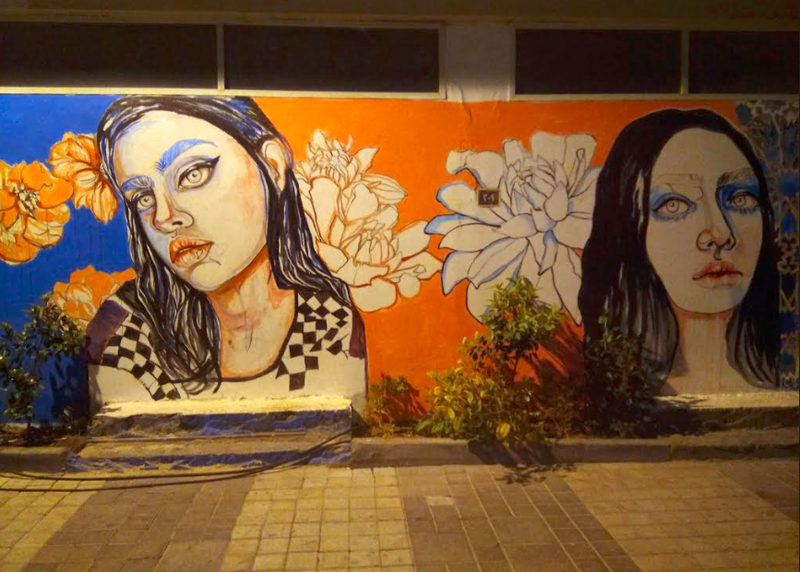 This is a locality that has a motley mix of art galleries and restaurants but it is its vibrant street art that is its most attractive aspect. Of course the food choices here are great too with an eclectic mix of Indian, Arabic, Mediterranean, Japanese cuisine, there is never a dull culinary moment here. 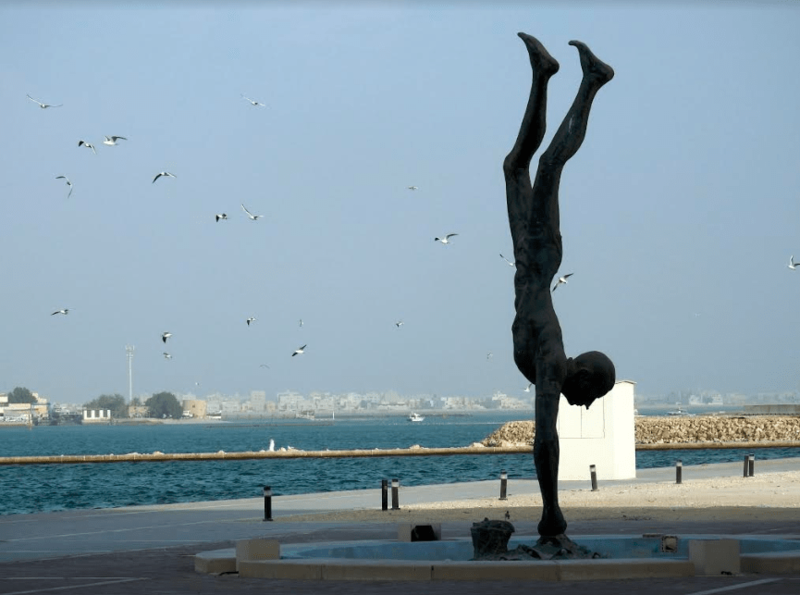 The locality is filled with art galleries like the Al Riwaq Gallery that displays art by emerging artists from Bahrain and the region as well as the Al Bareh Gallery a private space that hosts exhibitions by regional artists. Being neighbours with Saudi Arabia, a short 25 minute drive on the King Fahad Causeway will bring you to the border of Saudi and from this spot it is lovely to see the ocean especially in the evening. For some shopping, you must check out the local souk Bab Al Bahrain where you can buy some traditional souvenirs too. Else the Seef Mall is a good place for more urban shoppers. The Bahrain International Circuit is the place to head to for a spot of adventure where you can experience a 4X4 land rover drive that is full of thrills and spills. 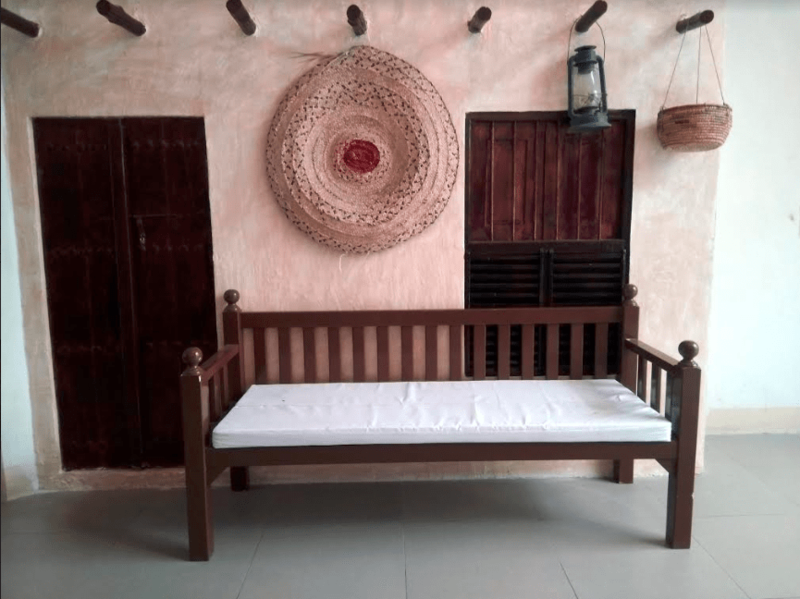 A stop at the Al Jasra Handicraft Centre is a must whether you love arts or not simply because of the fact that this is a space where you can get up close with all the traditional arts and crafts of the country under one roof. There is a separate room dedicated to each craft form – whether it is production of musical instruments, boat building, weaving, gypsum engraving, traditional chest making and pottery. The artisans work here so you can also interact with them. And a small store also retails these products so you can buy a piece of Bahrain when you get back. Truly this is a country that lives up to its tourism tagline – Ours. Yours. And it’s yours to discover – Bahrain beckons.